Valet lane opens at 5:30pm nightly, and is located at the front entrance on 9th street, for $7 per car. Street and garage parking is also located nearby. The Savoy is proud to partner with 21c Museum Hotel for extraordinary events. Whether hosting a family celebration, business dinner, or tying the knot, your guests will be wowed within our 6,200 square feet of art filled event space and catering provided by The Savoy's culinary team. 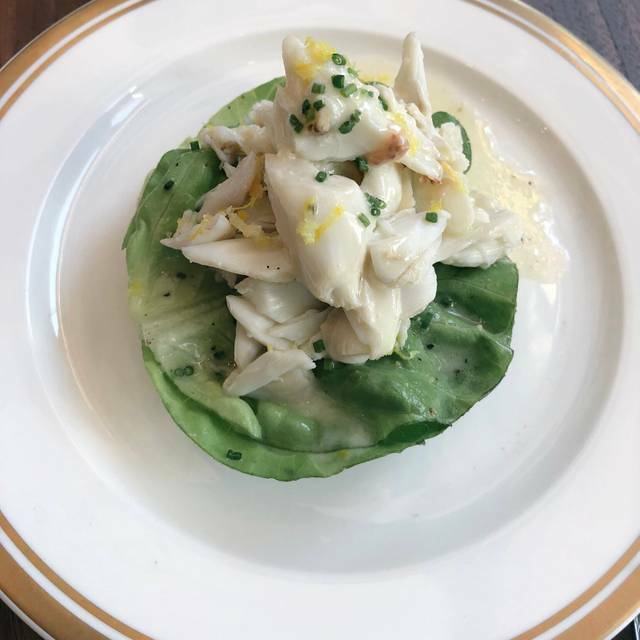 Located inside 21c Museum Hotel, The Savoy is a noteworthy throwback to mid-century American classic cuisine – a contemporary nod to this beloved restaurant’s storied past. Executive Chef Joe West, a Kansas City native, has a humorous and thought provoking approach to his food. 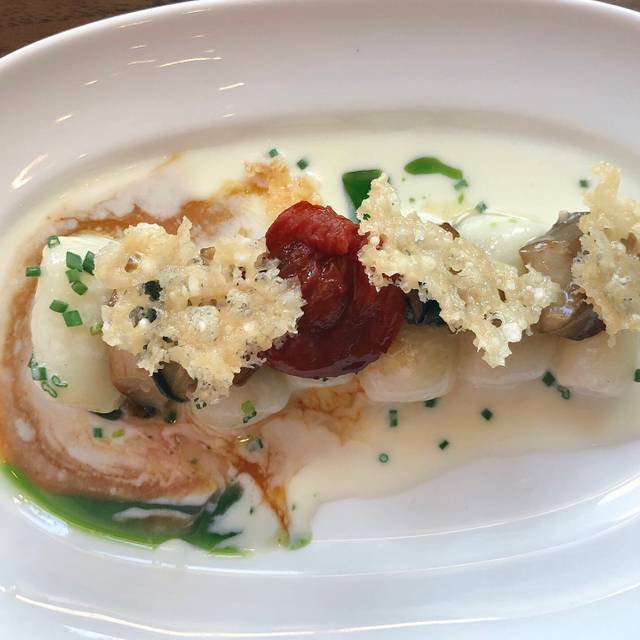 From West’s kitchen comes thoughtful, market-driven fare; Scallops Menieure; Chicken Liver Mousse Tart; Gnocchi & Mushrooms. 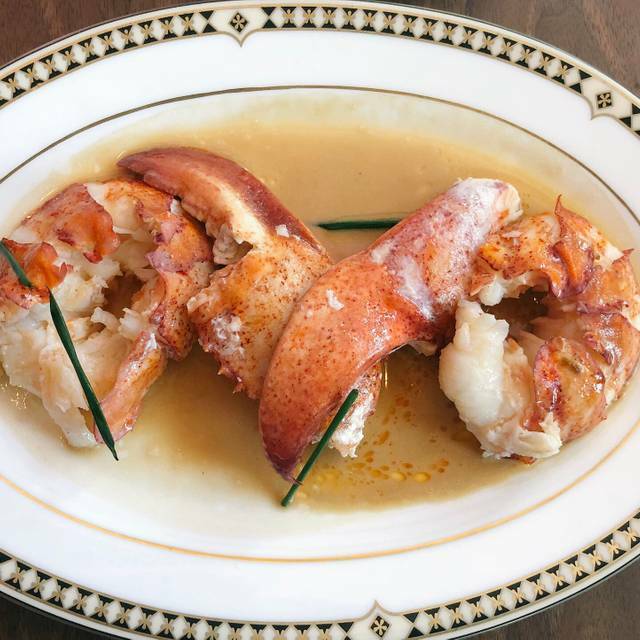 Classics include Avocado Crab Louis; Lobster Newberg; Chicken Francaise and Prime Rib with Creamy Horseradish. To top off the perfect meal, choose Passion Fruit and Coconut Cake, Crème Brûlée or profiteroles, amongst others. Celebrate Mom over an indulgent brunch with favorites like Egg Frittata, Bananas Foster French Toast, or Breakfast Fried Rice with our special 3-course menu. The best part? Mom doesn't have to lift a finger! Make your reservation today! I was glad to see they left the bar area of the Savoy in its original state. The salad I had was wonderful and it was fun to walk around the hotel and museum afterwards. Want to try brunch and dinner there next! Our server, Ashley was exceptional. She made our wonderful experience even better!!! Or second visit was as good as the first. Service was excellent and the new (to us) menu had something for everyone. It was much different than the former Savoy. 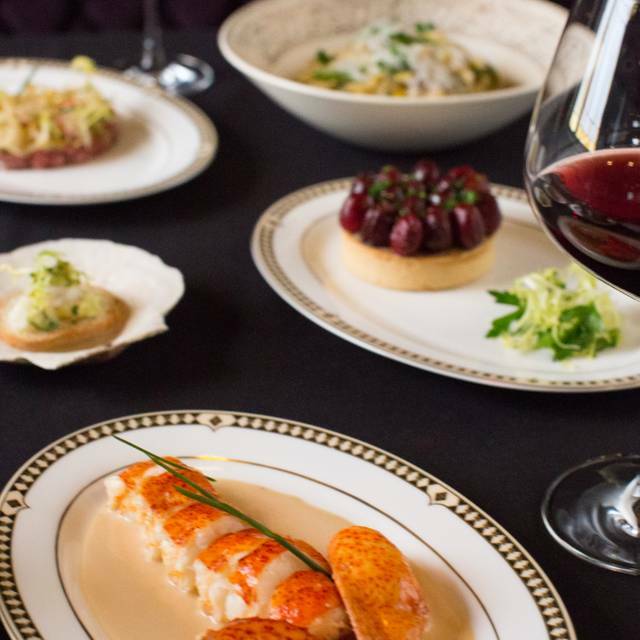 The old Savoy was elegant, this is a modern day dining experience. Pricing is also very reasonable. We had the Brussel Sprouts and Monkfish Newberg and Trout. Both of us were so pleased with our meal! Can't wait to go back again. I've never had trout made that way and it was melt in your mouth great!!! See you there! DebbieG, Thanks for leaving us this great review. I'm so happy you enjoyed your meal and found the prices approachable; our chef team will certainly love the positive feedback. Our goal is to make sure you are satisfied and to convince you to return. So thanks for your kind words and we look forward to seeing you again. Best, Damon Bailey - Manager P.S. We've recently replaced the Monkfish Newberg with fresh Halibut! We were celebrating our 45th wedding anniversary and wanted to be somewhere from our youth. Not only was the ambience wonderful, the staff couldn't have been nicer, serving us complimentary champagne when we were seated. We loved the food, the green pasta and the lamb ragout were truly outstanding. Thanks to the chef and the staff for a wonderful evening. Had always heard about the restaurant, but was initially disappointed when we were seated at a folding table. The server was unfamiliar with the menu and unable to identify specials or items she would recommend. The food was very good. Traditional look but new age menu. Very strange place straight out of the dark ages. Needs news dishes, brighter lights and lighter table linens. Dark walls, dim lights, all black table linens, strange music, and green penguins randomly placed. The food was extremely disappointing. I didn't send anything back because it was cooked fine, I simply didn't like the flavor profiles. The servers were extremely attentive and kind. For fine dining prices it leaves much to be desired. Excellent service from a wonderful staff. Food and drinks top notch, overall great experience that was a wonderful dinner/drink date. I was pleasantly surprised and blown away with just not the ambiance, excellent service, but thrilled with the menu. Everything from the cocktails, the starters, to the main course to the Baked Alaskan was superb. Lunch at the Savoy was absolutely delightful. The staff was gracious and accommodating when we showed up with two extra in our party, including a toddler. 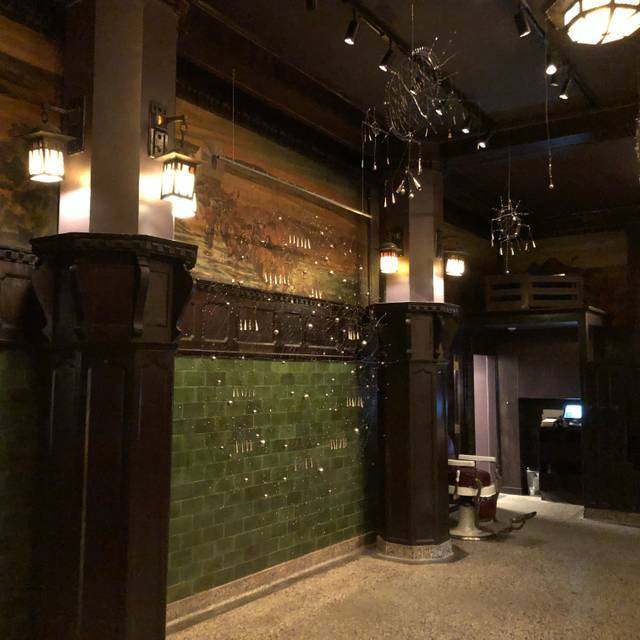 The service was excellent, every bite of our meal was delicious, and the combination of historic decor and modern artwork beautifully done. I highly recommend the Savoy to anyone who wants a memorable dining experience. Great atmosphere. First dined at the Savoy when we came to KC 48 years ago, Booked the 21c hotel for our anniversary and wanted to visit the renovated Savoy Grill. Still had the feel from the earlier visits, and the bar, murals and booths brought back memories. Service was superb and we were well taken care of. Monkfish was good. Also had escargot in tortellini. Unfortunately the taste of the escargots was overwhelmed by the pasta. Would have much preferred the classic escargots in the shells with garlic butter and plenty of bread to soak up the butter. Overall a good dining experience enhanced by superb service. This is an estimable old Kansas City establishment and its restoration is to be applauded. The atmosphere of the main, historic dining room however, felt like a cavernous event space. Tables were spread far apart and set with black tablecloths and plastic-appearing chairs. What this dining room needs is appropriately spaced tables with white tablecloths and elegant, ultra-contemporary chairs. That's it. Simple fix. Meals were poorly imagined and cooked. Not worth the nearly $300 bill for two of us. You need to bring back the white tablecloths and the chairs look like something from and office. Very loud. It took a long time to get our food even though they weren't very busy. The seafood was very undercooked, almost raw but we didn't have time to send it back after waiting so long. Overly priced for the environment and menu. Had lunch here - first ever visit. I agree with others that the service was fantastic. Our server had great suggestions and comments on the menu and how other diners felt about dishes. The four of us left having really enjoyed our lunch - plus we dined with one of the penguins! I’ll definitely return - I want to try the dinner menu. I have had both lunch and a weekend dinner here now. Excellent both times! We had two great servers, which added to our dining experience. Food was awesome - especially the steak tartare and French onion soup! The restaurant ambiance is intimate and romantic. Not often can four people have dinner and be able to hear one another without raising voices. First time back in many years. I was concerned that the ambience would be diminished- it was still fabulous. The food was wonderful, especially the beets! 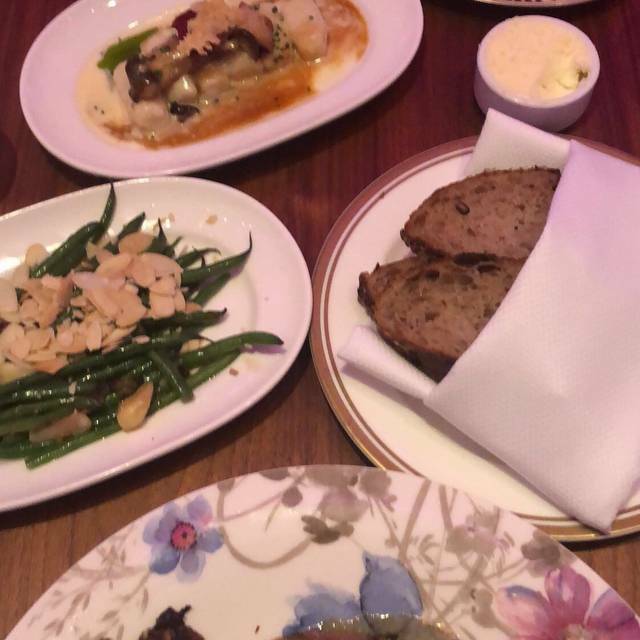 Our visit to the Savoy at 21c was nostalgic, we haven't visited since it was the Savoy Grill (we live in Arkansas and seldom travel to downtown KC). Great that you preserved the barroom area, and we enjoyed sitting in the Harry Truman booth. This was part of a very great KC trip to pick up a new Cadillac at the GM Fairfax Plant. Was very let down because the experience was much less than expected. It's not the Savoy you remembered. Worst experience ever; on Valentine’s Day. They had special menu; no lobster bisque, no lobster options for dinner. That’s why you go to savoy. Atmosphere no longer quiet and conservative. 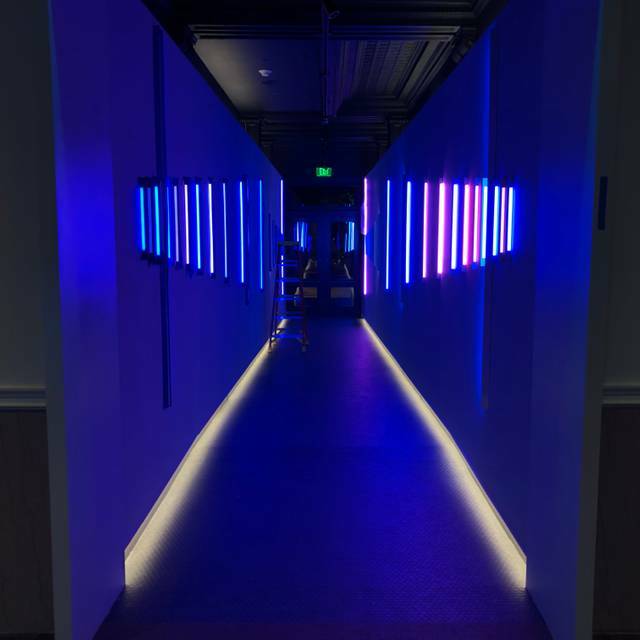 Now bright colored lights, insulting flooring. Just a very bad night and still spent more than I should. Great meal, very good service. 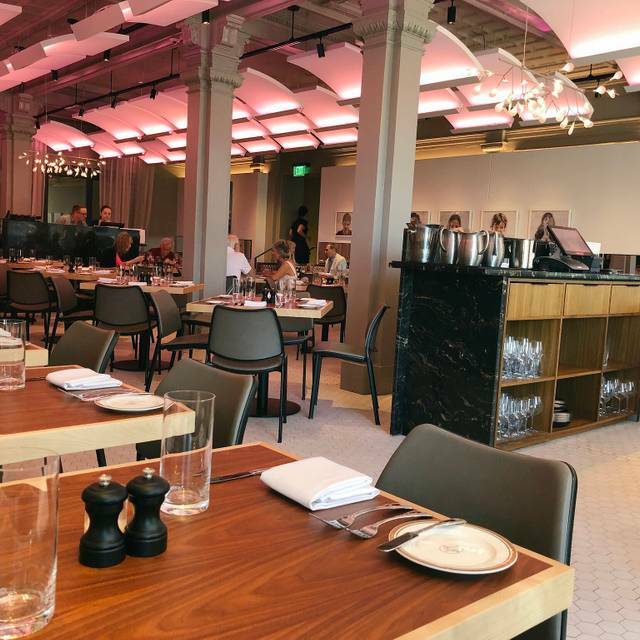 The historic building and modern decor are a fun pairing — but the lighting in the main dining area is horrendous. It’s distracting to the point it alters the appearance of the food (not appetizing!) as well as people’s skin and clothing. Nice to be in the old room again. Glad they decided to serve meals there. Valentine’s Evening. Surf and Turf had less than one oz. of crab with 5 oz filet. Sauce was ordinary. Salad was not flavorful. Prime Rib was better but not exceptional. Chocolate dessert was good. The Savoy is always impressive. 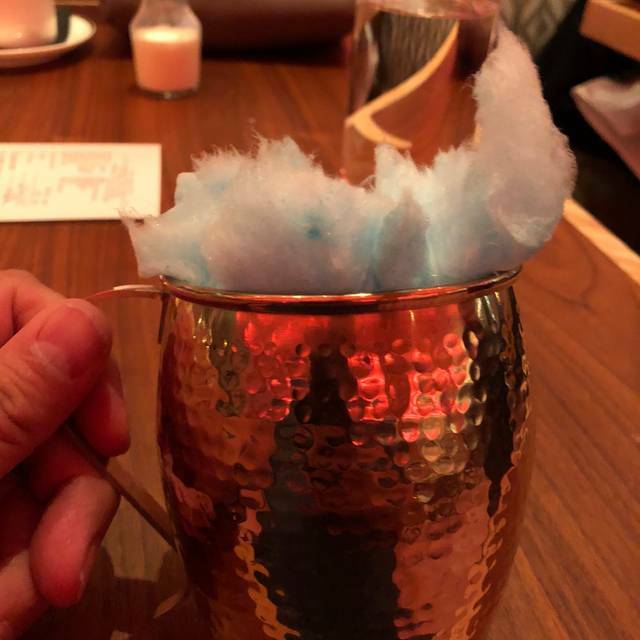 The atmosphere, the food, the drinks, the service is always above expectations. Always a hit and something I look forward being a treat going there. Went to lunch and restaurant was not busy and we were slow to be greeted and seated-seemed a little awkward. Once we were seated service was good. Menu for lunch is not impressive but the choices we made were really good. The field greens salad has awesome dressing. My wife had French dip sandwich which was awesome and I had chicken curry with rice and loved it. Wine prices are pretty high. The rest of the art galley is very interesting. Great food, great service! We certainly enjoyed it! The savoy grille has always been an icon in Kansas City. Had not been there in quite some time and was very saddened to learn it is now a chain restaurant with very small menu selection. Will not go back. Beautiful inside! My meal was delicious! I strongly recommend the chestnut soup (which I assume is a winter item only), scallops and the brussels sprouts! We were all too full for dessert which is a shame but I hope to go back for that some day! Lunch prices seemed pretty reasonable and I hear the brunch is amazing too. Everyone loved their dinner choice in my group! Oh and the bread served beforehand is delicious..and warm...with salted butter! We had to have out Valentines dinner early this week and couldn't have picked a better place for dinner. The ambiance is stunning and quiet (we were there on a Sunday evening) and the food was to die for. I think we will both be dreaming of those scallops. Service was exceptional as well, we will definitely be back. Lovely! Simply a lovely environment for enjoying a fine dining experience with friends! The service was impeccable, with smiles and helpful information. The food was fabulous! The price with everything al a-carte was on the expensive side, in my opinion. Seated in the lounge in a quiet booth, we experienced excellent service and a great meal. I highly recommend the Savoy for a great dining experience.